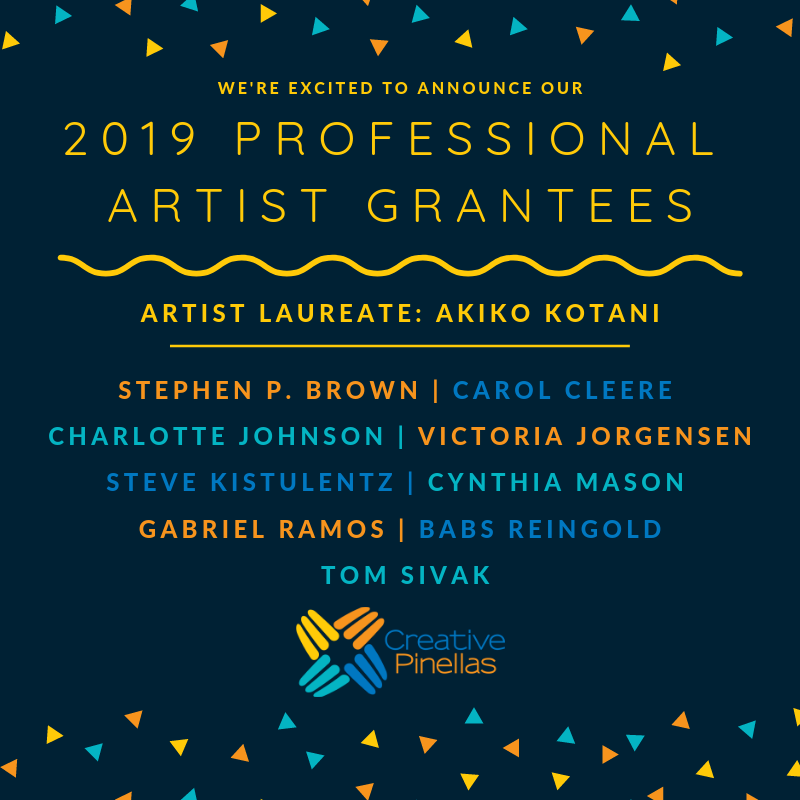 So honored and grateful to have received a 2019 Professional Artist Grant from Creative Pinellas! The Creative Pinellas Professional Artist Grant is designed to support and sustain Pinellas County’s creative community and to enhance the County as an arts and culture brand. The program provides an unrestricted financial award to Pinellas County artists of outstanding talent and ability who, with a history of increasingly successful work on the local, national, or international stage, bring recognition, awareness and interest to our community, inspire other artists and art lovers, and help make Pinellas County a vibrant arts and cultural community. Cynthia Mason is a visual artist based in St Petersburg, Florida.